Your college years have the potential to become the most unforgettable time of your life — as is the case for many students. Usually, this time is filled with a sense of freedom, parties, nights and weeks of studies, love, and friendship. 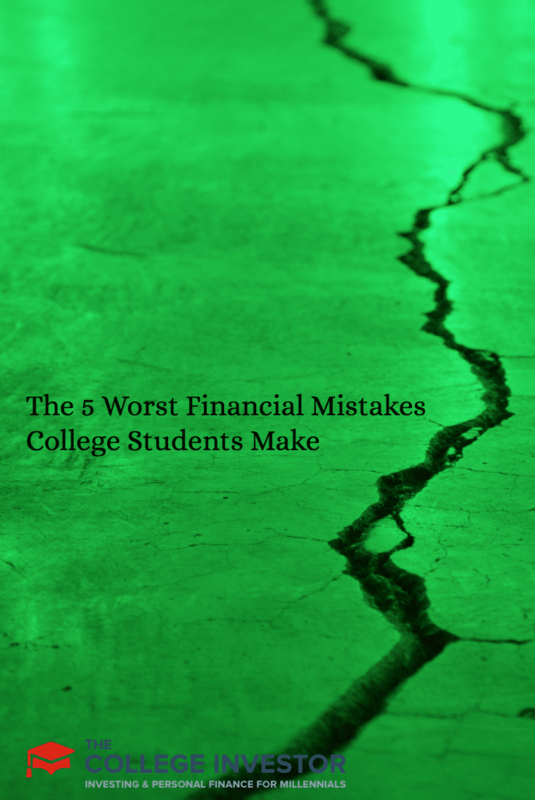 It’s a pity, but financial errors and troubles can be a part of your college years as well, and for some, it may take several decades to get over the consequences of one mistake. Here are five of the most common financial mistakes you should avoid to enjoy the most of your student life. If you pay attention, you will see that credit card companies are everywhere around the campus! These companies are ready to offer students that are not literate about finances credit cards that provide a possibility to purchase things now and pay for them later. The offer is tempting, but the cards offered may not be that good of a deal, having high interest rates and multiple layers of hidden fees. And the damage becomes noticeable only when it is too serious, affecting both their financial state and credit rating for years to come. Student loans are usually offered at favorable terms that fit in a borrower’s needs and possibilities, but those who take on student loans can get into financial trouble pretty quickly. Statistics say that the total amount of student loans debt in America is about $1 trillion, which is more than credit card debt. The trouble with student loans is that the universities and colleges will typically never say no to your borrowing, and so you can take out as much as you want — even if you will have no hope of ever repaying the loans. As such, it’s important that you really consider the costs of repaying the loans when you take them out. Many students at the end of their studies still feel they are not ready to go and fight with the big and scary world, and prefer to stay in grad school and not leave the college. Sometimes it can really pay off, but usually such decisions work against the student — creating an even deeper debtor’s prison that would be hard to break out from. Students should be working toward what they need in school, and should go for the quickest way out. Being in a program for six or seven years doesn’t make a lot of financial sense. Also, leaving undergrad and going directly to grad school doesn’t make a lot of sense either. You need to leverage your degree and start your career. Statistics say that a third of all identity theft is happening to people between 18 to 29 years of age, and the reason for this is their carelessness toward their personal information and sharing their personal information with their friends and roommates. Logging on to your financial account on public computers, using common areas for private banking info, and the mass use of all social media accounts helps predators find your personal information and can lead to identity theft. Be careful with your personal ID, passwords, and other information. Paying for college is never cheap, and many parents are facing the choice of whether to finance their kids’ education or save for their own retirement. Anyways, if you personally have an IRA, you should never use the money to pay for college. It will not only make you face taxes and penalties to pay, but you will also lose the financial support that you might need in your future. You can get a loan for college if you need to, but you can’t get a loan for life. Now that you know five of the most frequent mistakes made by college students, you can make better financial decisions. On top of avoiding these mistakes, it’s important for students to find a school that fits their budget, and major in a degree they can afford and will want to use post-graduation. You can save money on lots of things, such as getting a used car instead of a new one or renting a cheaper apartment and getting roommates. You can find some helpful resources to find those cheaper things, and get help from some financially savvy people. What other financial mistakes do you think college students need to avoid?